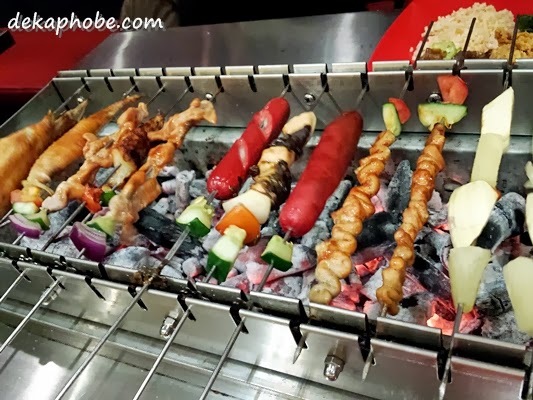 [i am a dekaphobic]: Grill All You Can at Bar-B-Skew! Our family loves grilling -- pork, fish, marshmallows, hotdogs, chicken -- at any chance we're given. I love eating food fresh from the griller, no matter how scorching hot the food is. 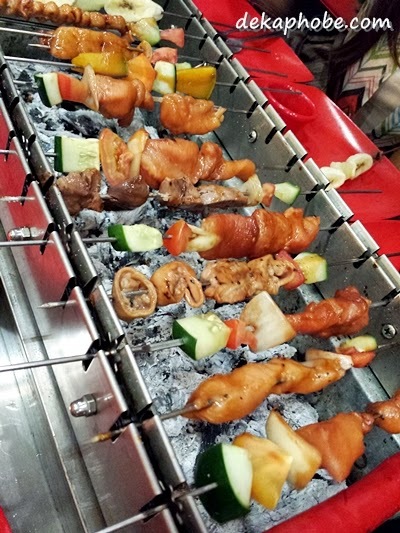 I was too happy to be invited to this first and only skewer buffet in Manila, Bar-B-Skew, which opened last October 12, 2013. As mentioned by the owner, the concept was inspired by skewer restaurants in Australia. He has observed that Filipinos would love this concept too. 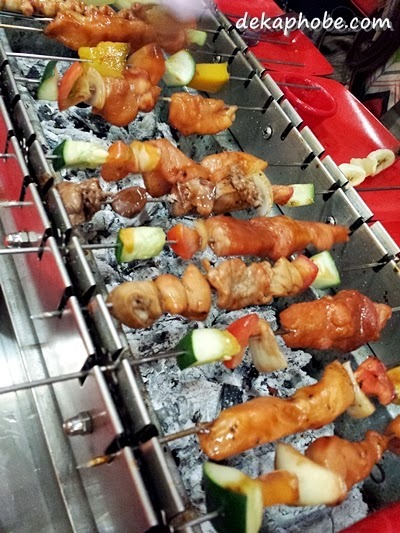 We had some Filipino street food favorites like Pork BBQ, Hotdogs, Chicken Isaw and Pork Isaw. We also had Cream Dory, Chicken Liver, Chicken BBQ and Chicken Gizzard. 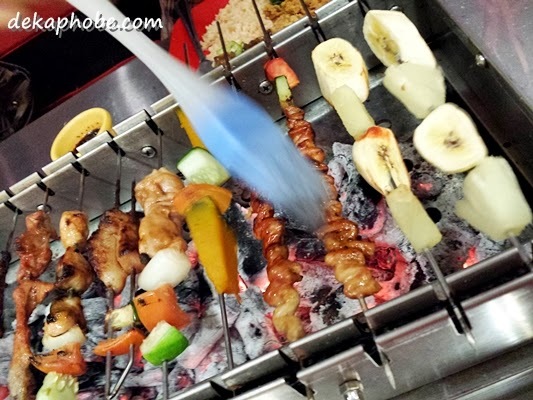 Skewered veggies are pumpkin, carrot and cucumber while skewered fruits are pineapple and banana. Of course, there's marshmallow too! Eating skewers are better with refreshments like soft drinks, iced tea, juices and local beers. I really enjoyed my Bar-B-Skew experience that I lost count on how many skewers I was able to finish that evening. As they are currently on soft opening, Bar-B-Skew is still improving the place. Aside from buffet options, Bar B Skew also has Budget Meals for as low as Php 99 and Skewer Packs for as low as Php 139.
wow super ok ang prices... bet na bet ko 'to! punta tayo!